This week's Illustration Friday theme was "jungle" and I was back at the drawing board early in the week and then again mid-week. 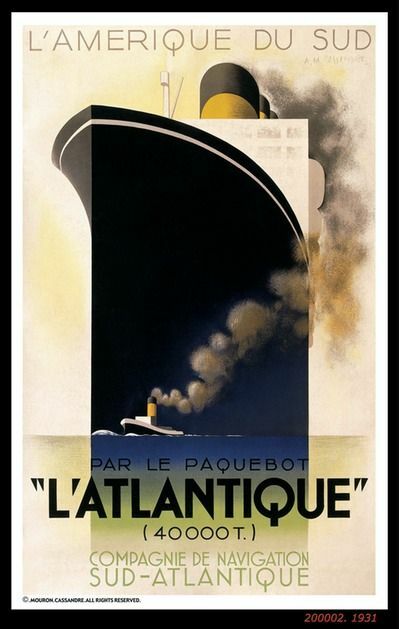 I was back and forth on what to do, but then I saw this poster by A.M. Cassandre, the French illustrator, painter, and commercial artist. I really like the airbrush texture in his work, and wanted to see if I could somehow capture a bit of the grittiness in my own digital work. Some of what bugged me about the spring horse illustrations of last week was that I couldn't capture the right texture. Another thing I wanted to address was the lack of variety in the spring horse illustration. It felt a bit blocked. Maybe it was too much time on the digital work from the get-go, and not enough sketching. This time, I had a goal of illustrating 20 different elements in one illustration. I got close... I illustrated 16 different elements. Baby steps! For subject matter, I picked my fave jungle creatures and rolled with it. This sounds corny, but I tried not to try so hard. Here's my sketch in case you wanted to see how this started. one of the sketches for "jungle"